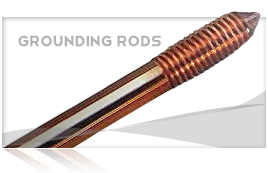 Concentric-lay-stranded, 30% and 40% conductivity, conductors made from round copper-clad steel wires for electrical purposes. Available in high strength (HS), extra-high strength (EHS), or dead soft annealed (DSA) tempers. 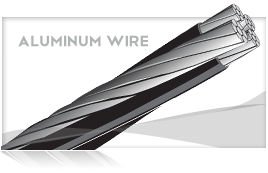 Ground wire for electrical power systems, telephone and CATV drop wire, tracer wire, and catenary wire for electrified railroads. 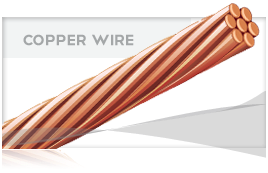 +Breaking loads of 7-Wire, 19-Wire, and 37-Wire Copper-clad Steel Strands are taken as 90% of the sum of the breaking loads of the individual wires; breaking load of 3-Wire Copper-clad Steel Strands is taken as 95% of the sum of the breaking loads of the individual wires.